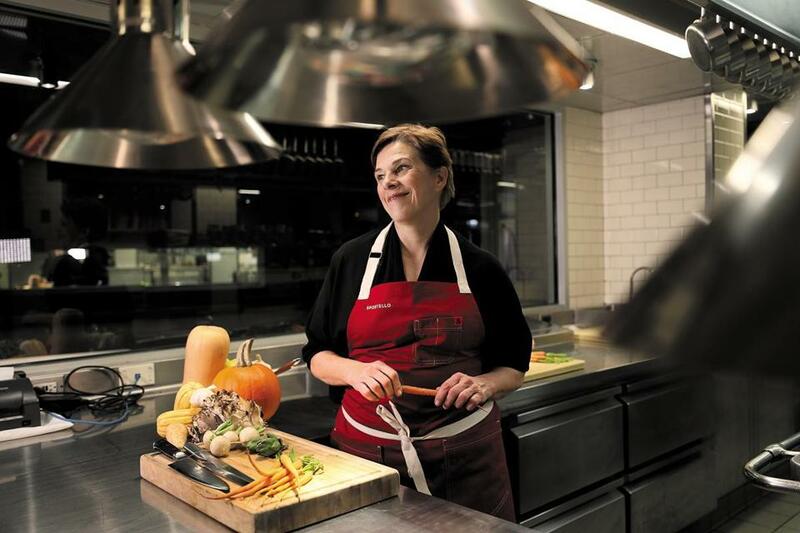 Barbara Lynch has run three Seaport restaurants for nearly a decade. 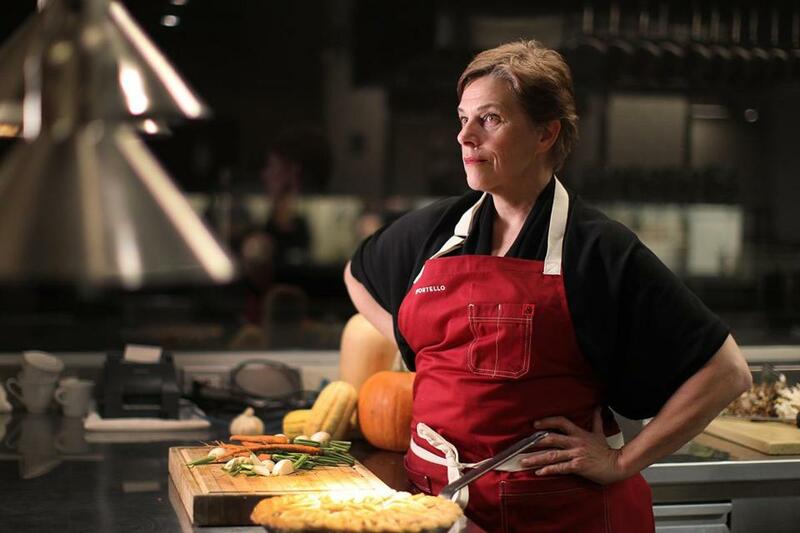 By almost any measure, the past year was a remarkable one for chef Barbara Lynch. Lynch’s James Beard-award-winning restaurant, No. 9 Park, is about to celebrate its 20th anniversary. Last April, she was named one of Time magazine’s most influential people in the world. That was the same month she published her memoir, “Out of Line” — now optioned for film — which traces her climb from the projects of Southie to the head of a $20 million, seven-restaurant empire. But behind the scenes, Menton, the restaurant she considers her crown jewel, has struggled. Many investors share a growing concern about the restaurant’s financial viability and are worried about its future. Failure, some say, could harm not only her empire but also her reputation. For Lynch, Menton has represented just how far she has come. One of three restaurants that she has operated on Congress Street for nearly a decade, it has earned Relais & Châteaux status, an elite membership denoting the top restaurants in the world. And its menu, a culinary sonnet to Lynch’s two loves, French and Italian cuisine, has consistently drawn accolades. Yet the restaurant has not been profitable. Lynch gambled big when she announced she was opening three adjoining restaurants in the untested neighborhood of Fort Point in the wake of a recession. Eight years in, she has yet to pay back her frustrated investors. They complain that sales have been flat across the Congress Street restaurants for the past four years, while food and labor expenses have risen, and they worry that the rent is poised to rise. And for some, Lynch’s arrest on charges of driving under the influence last July heightened their concern. Lynch crashed her Mini Cooper while driving to her home in Gloucester at 4:30 a.m.
A police report said she was intoxicated and her blood-alcohol content registered nearly twice the legal limit in a breath test administered at the scene. She later blamed exhaustion, pointing to the months she had spent shuttling around the country for her book tour. Last August, she admitted to sufficient facts and the case was continued without a finding. The arrest stoked worries among some investors about her ability to keep Menton and her other restaurants afloat. These concerns have led to a tumultuous past few months in Menton’s kitchen. Menus have been ripped apart and revamped. Prices have been slashed. Lynch’s director of operations and culinary director recently left the company. And Lynch and her team have hastened their efforts to appease her investors, meeting with several of them in person for the first time in years to discuss the financial future of the restaurants. Lynch herself has been back in the kitchen for the first time since the restaurant opened. Lynch insists she is trying to make Menton into the place she had always envisioned, while others say it was her initial vision itself, which was so exquisitely achieved, that is the heart of the problem. Over the course of several interviews, Lynch acknowledged that she set lofty goals for the restaurant but that it suffered from a lack of direction. She recognizes that too many people, including her investors, think of the restaurant as a place reserved for four-hour meals with nine courses of tweezer-food, instead of a place for business lunches or weekly dinners with friends. But she fiercely defends her business and insists the restaurants are financially sound. “There’s no reason to be nervous. The Gruppo has an extraordinary track record,” Lynch said, using the name for her restaurant group, Barbara Lynch Gruppo. Lynch said she anticipated a luxury restaurant would require a longer period before becoming profitable. It can take 10 years for a fine dining establishment to get its legs, she said, a fact her investors should have been aware of when they signed on. “Investors invest in restaurants, and most investors never get paid back at all, and that is the risk you take,” she said. Lynch in the kitchen at Menton. Lynch reveled in the risks she was taking when she set out to open Menton in 2007. Her career has been defined by defying expectations and using her street-smart hustle to make her way to the top. 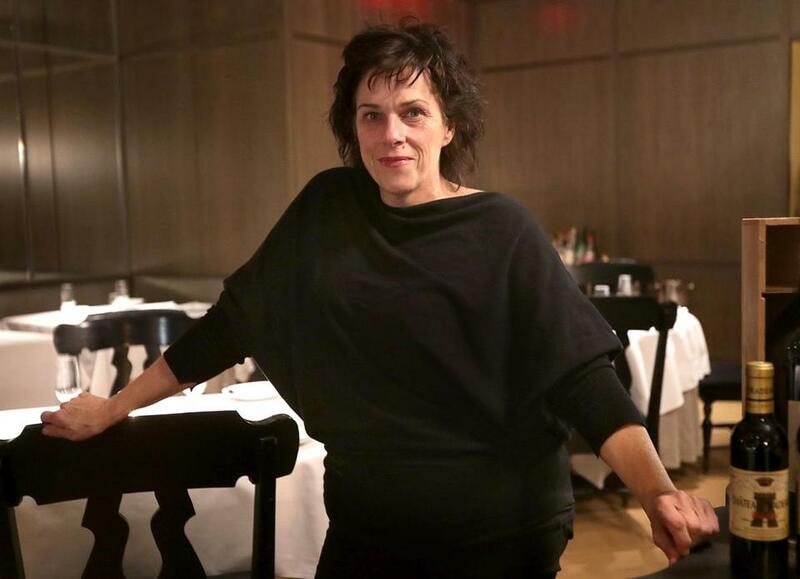 “Menton is meant to be Lynch’s piece de resistance, the culmination of her life in the food business,” the Globe wrote in a profile of Lynch in 2009. The four-star review following soon after hailed her elfin mushrooms, foie gras terrines, and her personal “quenelles of steel,” for having the nerve to open a fine-dining restaurant right after a recession, in January, in a location that was still near a sea of parking lots. In order to open the 15,000-square-foot space, Lynch raised over $5 million, taking $25,000 to $250,000 from each investor, and borrowed $2 million to supplement that financing. Her vision was a prix fixe, four- or seven-course menu with a price tag of $150 per person. She hand-selected the German porcelain dinnerware and the Austrian glassware and swiped napkins from renowned chef Eric Ripert’s restaurant to compare the quality, eventually settling on a luxurious Egyptian cotton with a diamond-weave border. The restaurant opened in 2010, to national acclaim. Lynch had already seen phenomenal success with her first restaurants and boasts in her memoir that she repaid the investors in No. 9 Park, B&G Oysters, and the Butcher Shop within the first few years of opening. Several investors confirmed that. “The investors from No. 9 have made more money than they would have made on the stock market,” she said in an interview. “Menton, this one’s a beast,” she said over lunch on a recent Wednesday, her eyes flashing as they scanned the dining room. It was 12:45 p.m., and only a few tables were full, despite expanded lunch service. For the next hour, Lynch spoke with her typical expletive-laden candor about the challenges she faced opening the restaurant, and the many directions she was pulled in as she expanded her empire. She lamented letting her then-executive chef, Colin Lynch (no relation), execute Menton’s menu, while allowing her director of operations, Jefferson Macklin, who departed in 2015, to oversee the restaurant’s direction. “I actually never got the opportunity to work in this kitchen and bring it to what the vision was,” she said. Macklin, who now owns Bar Mezzana in the South End with Colin Lynch, disputes her account, saying the pair were charged with executing her expectations for a refined, luxurious dining experience. “I was trying to implement a plan that we had reviewed together,” he said. “I don’t know why she’s saying we didn’t do what she set out to do; we got Relais & Chateaux status” — a designation, he adds, that she pursued aggressively. For years, investors weary of Menton’s lack of returns urged Lynch to rethink the fine-dining concept and make the restaurant a place where they would actually want to eat. Eventually, Lynch came up with a menu just for Hiatt that was three courses long. But she otherwise stuck to her original vision. People close to Lynch say she opened Menton to prove — to both the public and herself — that she was capable of running Boston’s finest kitchen. They say the same tenacity that shaped her successful career made her unwilling to budge on the restaurant’s high-end concept. “To her it was the ultimate culinary achievement that she had worked her entire life for,” said one former Menton staffer. Industry insiders also suspect that the perceived success of Menton may have mattered more to Lynch than its financial viability. “There’s no reason she would want to change the brand of Menton if it’s helping her personal brand,” said Daniel Dain, a real estate attorney with Dain Torpy who also runs a restaurant investment fund. a bar area with cheeky menu items like foie gras hot dogs, to attract less-formal diners. Lunch service was added. But these efforts did little to make the restaurant profitable. “When I started, everyone from day one said, ‘Please make it stop losing money; let’s get it to break even,’ ” said Scott Jones, who was chef de cuisine for Menton from 2014 through 2016 before taking over as culinary director of the Gruppo last year. Jones left the company in October, but he said Menton was profitable for the first time during his tenure. “Menton doesn’t lose money anymore. We’re taking the profit and reinvesting it into the space to make it better,” he said. Lynch in the dining room of Menton in 2016. But some Menton investors said their concerns are driven by the fact that the lease on the Congress Street restaurant building will soon hit its 10-year anniversary, meaning Lynch will have to renegotiate with her landlord, New York City-based Acadia Realty Trust. Because Fort Point was undeveloped when the lease was signed, Lynch was able to secure a significantly below-market rate for her rent. According to the original lease, which was obtained through liquor license filings with the state treasurer’s office, Lynch pays about $22,800 a month in rent, plus an average of 6 percent of net sales, for her three restaurants. Restaurant industry experts say that if the Congress Street restaurants were leased at current market rates, the rent could likely double. Lynch’s former chief of operations, Ben Kaplan, said the Gruppo faces the same financial constraints that other restaurants across the city are struggling with: rising labor costs and a glut of new restaurants. And while the prospect of rising rent looms large, Lynch said she has two five-year options to extend her lease. “I would expect the landlord would appreciate the value that I bring to the property, because I’ve chosen to be there and support the neighborhood,” she said. Acadia did not respond to requests for comment, but Lynch said the firm has agreed to renegotiate the five-year options. Lynch said that Menton — like many other high-end restaurants — has felt the effects of a cultural shift away from over-the-top dining experiences. That, coupled with pressure from investors, is why she says she’s now undergoing a “regroup” of her businesses. She’s put more emphasis on her name in her branding, and has been working to streamline food costs across the kitchens of the Congress Street restaurants to drive down spending. At Menton in particular, the changes are reflected in details like the napkins, which are now smaller, unembellished, and 100 percent cotton — one of many things scaled back to cut costs. The new à la carte menu is designed with approachability in mind, with food that’s easily identifiable and entree prices barely hovering above $30 (a less expensive dinner than at No. 9 Park). Servers will be “less robotic” and exude more “heart and soul,” Lynch said. Things should feel fun, with the kind of social atmosphere she’s achieved at No. 9. “We lost that somewhere down the line,” she said. Many investors reached out after that and set up meetings with Lynch, said Tanya Gray, finance director for the Gruppo. The team also made two payments to investors late last year. All told, they’ve each received less than $10,000 in payouts since first buying into the Congress Street restaurants a decade ago, investors said. Lynch shaved white alba truffles over porcini risotto in the dining room of Menton in 2016. Those Christmas cards were mailed in mid-December. People close to Lynch say they want her to succeed, and they hope the pursuit of her vision doesn’t blind her to the reality of just how vulnerable Menton might be. Hiatt, the longtime investor, said he understands why other investors may be losing patience. But he’s not among them. “I didn’t invest in No. 9 because I was looking for a return. I was investing in a young woman” who had both overcome and accomplished much, he said.